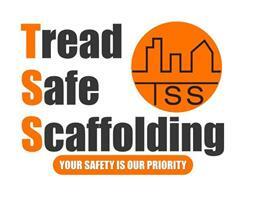 Treadsafe Scaffolding Ltd - Scaffolder based in Grays Road, Surrey. Tread Safe Scaffolding Ltd offers a wide range of services, access techniques and innovative designs for all your project needs. From the homeowner to private builder to building groups we pride ourselves on our high standard of health and safety and access solutions. Established in 2015 by Ben White and Edward Dowley who bring over 30 years of experience between them and have worked on some demanding and diverse construction projects including the East London Line rail development, Kings Cross Station upgrade and Crossrail projects all over London. Our aim as a company is to bring new, fresh and exciting designs to the forefront of our industry with many plans for our further expansion as a new company. We also pride ourselves on providing a great service before, during and after the works are complete as we recognise that all clients offer the prospect of repeat business and we will therefore endeavour to form a solid client relationship.